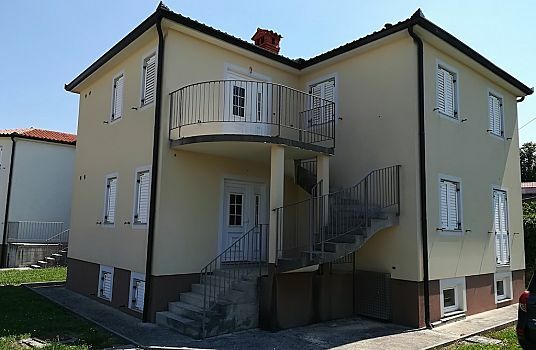 Spacious two apartment family home in a beautiful, peaceful and private location with large garden and spectacular views of the Istrian countryside down to Koper / the Adriatic coast. 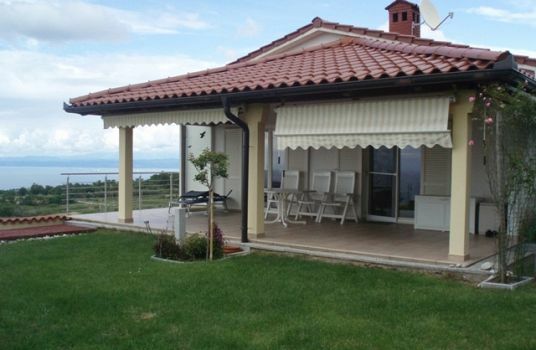 Located in the hamlet of Jelarji on the Italian border circa 5km above Ankaran town, 10km to Koper and 20km to Trieste on the Italian side of the border with good road connections into Italy and to the Slovenian coast not far from the property. On the basement floor is a garage and storage room, while the ground floor and first floor each offer a spacious, well laid out, 4 room apartment each with independent entrance. In each apartment the Southern side comprises a very large open plan living room / kitchen / diner with access to large terrace, whilst the other side offers two double bedrooms, kids room, bathroom and additional separate toilet. The ground floor was completely renovated in 2004. 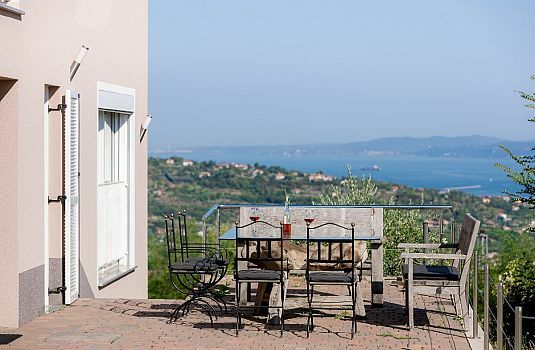 The house has air conditioning which is used for heating in Winter along with two wood burning fireplaces and central heating installations are also in place. The well arranged garden comprises access / ample parking / garage entrance on the eastern side, whilst on the northern side is a vegetable garden with small outbuilding (cca 20m2) used for storage and as a Summer kitchen. 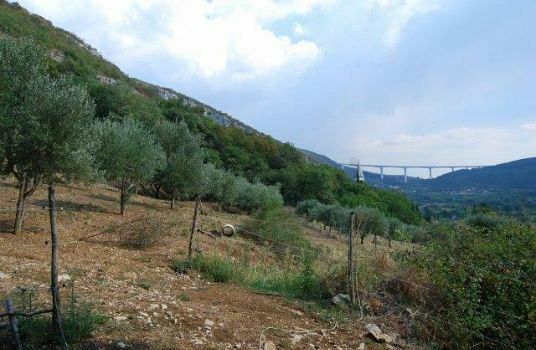 Most of the rest of the garden is well established and planted with various trees / bushes, including an olive grove on the southern / western sides. 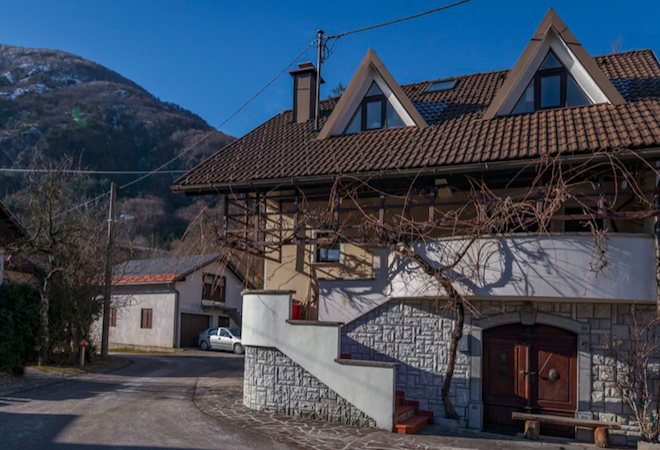 The house offers abundant space in a private and beautiful location, ideal for accessing Slovenian and Italian Adriatic coastal regions and offering good scope for long or short term rental.